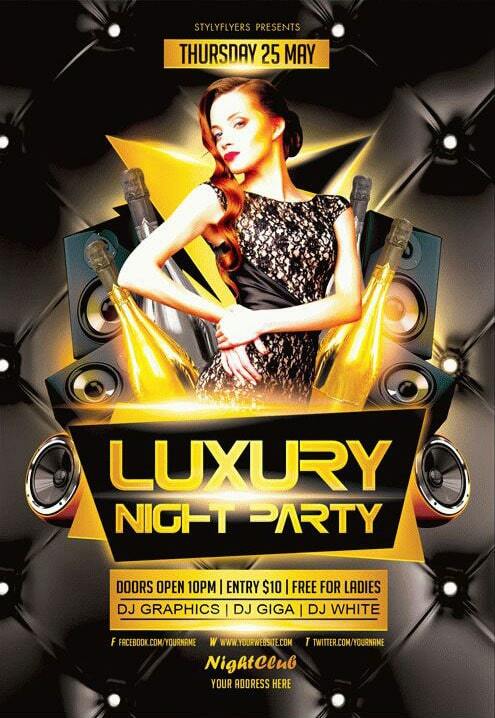 Get this amazing Luxury Night club flyer template. 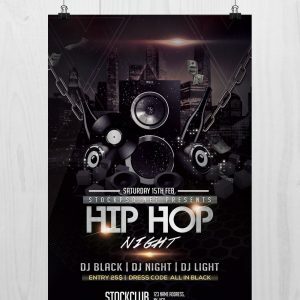 Discover this first-rate club flyer template “Luxury night party flyer” for your next events. 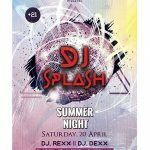 Using this club flyer, you won’t have any problems more with invitations and promotional campaign of the necessary event. 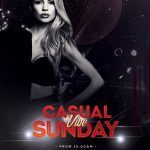 It is a beautiful and luxury invitation for night clubs, lounge bars and open air venues. It has an amazing luxury design. On the powerful black background you can see a beautiful girl, columns, and some bottles of champagne. It won’t be a problem for you to customize and modify it. 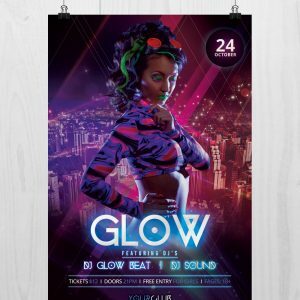 Easily insert your logo, textual content, entry fees, change color scheme and add any elements you wish. 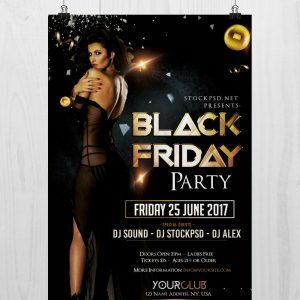 Use any of club flyer templates when and where you need. 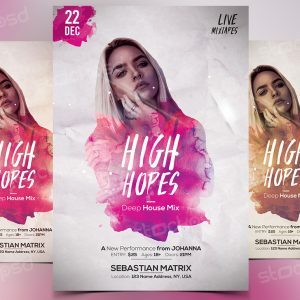 Use this or any of the others event flyer templates for your celebrations and feast-days and be satisfied with your choice.